^ The Spirit of Hiroshima: An Introduction to the Atomic Bomb Tragedy. Hiroshima Peace Memorial Museum. 1999. ^ Another review and analysis of the various death toll estimates is in: Richard B. Frank. Downfall: The End of the Imperial Japanese Empire. Penguin Publishing. 2001. ISBN 978-0-679-41424-7. ^ Special Exhibit 3. 廣島和平紀念資料館. [30 August 2010]. ^ 日本核爆受害者之子：核爆根源是日本的戰爭加害. 人民網. 2015-08-07 [2015-08-16]. ^ 日媒炫耀百國代表紀念核爆. 中國頻評論新聞. 2015-08-06 [2015-08-16]. ^ 俄杜马主席：广岛、长崎原子弹爆炸未考虑军事必要性. 俄羅斯衛星廣播電台. 2015-08-05 [2015-08-23]. ^ （日本駐德大使館）Grußwort des Japanischen Botschafters anlässlich der „Konferenz für den Frieden“ am 5. August 2009, abgerufen am 4. Januar 2012. The Effects of the Atomic Bombings of Hiroshima and Nagasaki. U.S. Strategic Bombing Survey. 1946. 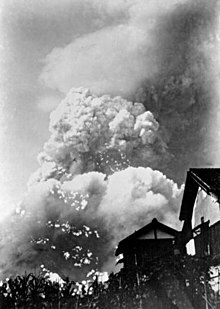 Scientific Data of the Nagasaki Atomic Bomb Disaster. Atomic Bomb Disease Institute, Nagasaki University. [2008年8月20日]. Correspondence Regarding Decision to Drop the Bomb. NuclearFiles.org. [2008-08-20]. （原始内容存档于2010-03-31）. The Decision To Use The Atomic Bomb; Gar Alperovitz And The H-Net Debate. Dietrich, Bill. Pro and Con on Dropping the Bomb. The Seattle Times. 1995. Tale of Two Cities: The Story of Hiroshima and Nagasaki. [2008-08-20]. Documents on the Decision to Drop the Atomic Bomb. The Harry S. Truman Library. The Atomic Bombings of Hiroshima and Nagasaki. Manhattan Project, U.S. Army. 1946. Burr, William (Editor). The Atomic Bomb and the End of World War II: A Collection of Primary Sources. National Security Archive. 2005.